PPHS sophomore Joe Herdman (22) delivers a pitch during the Big Blacks’ 12-8 victory over Ravenswood on Wednesday night in Point Pleasant. PPHS senior Tucker Mayes (15) drives a two-run home run during the bottom of the fifth inning of the Big Blacks’ 12-8 win over Ravenswood on Wednesday night in Mason County. POINT PLEASANT, W.Va. — Runs by the dozen put the Big Blacks back in the win column. 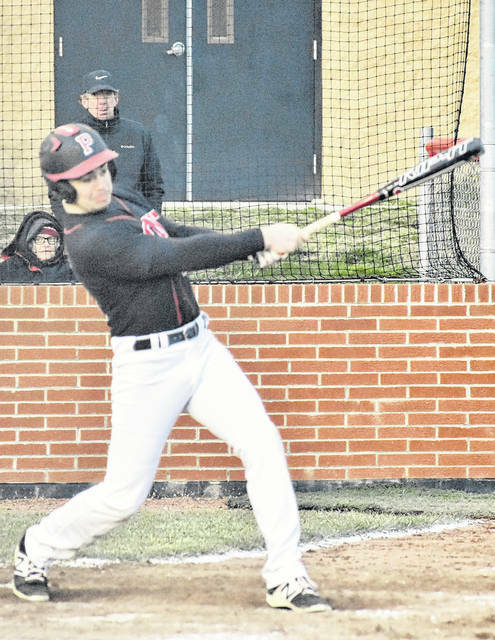 The Point Pleasant baseball team jumped out to a 3-2 lead in the first inning and, despite a late rally by visiting Ravenswood in the final frame, earned a 12-8 victory on Wednesday night in Mason County. The Red Devils (1-4) opened the game’s scoring in the top of the first, as Michael Bennett and Lakin Tucker led off the order with back-to-back singles and later scored to spark the visitors to 2-0 advantage. The Big Blacks (3-3) countered in the bottom of the first frame, as three straight singles by Austin Richardson, Carter Smith and Miles Williams guided the hosts to a 3-2 advantage early in the contest. RHS answered in the top of the second inning, as Ethan Mahan reached on a walk an scored when Bennett followed with a double to tie the game at 3-3. PPHS regained the lead in the bottom of the fourth frame, as it sent eight hitters to the plate and manufactured four runs on four hits and one walk to take a 7-3 advantage. Ravenswood cut the deficit to 7-4 in the top half of the fifth inning, when a single by Tucker scored Bennett. The Big Blacks tacked on five additional runs in the bottom of the fifth frame, as Tucker Mayes capped off the offensive outburst with a two-run home run to help guide the hosts to a 12-4 lead. Ravenswood scored four runs in the top of the seventh inning, but Point Pleasant held on to close out a four run victory. Levi Mitchell was the winning pitcher of record for PPHS, as he worked four innings, surrendered three runs and collected three strikeouts. 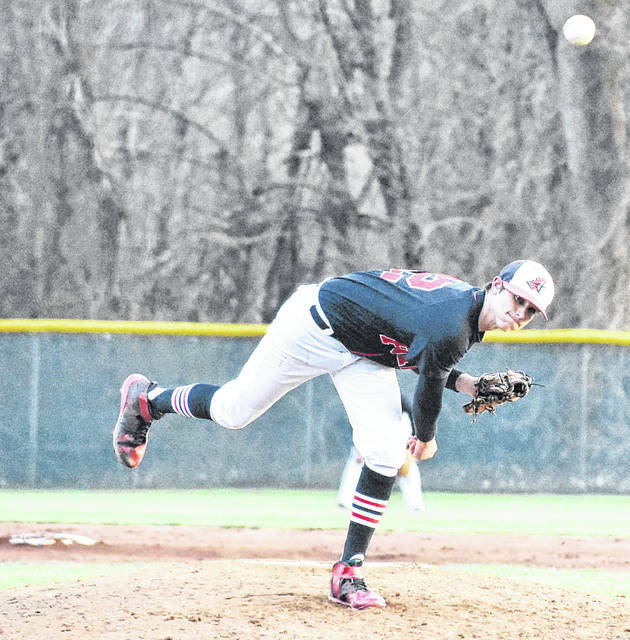 Mahan suffered the loss for Ravenswood, as he gave up six runs in three and two-third innings of work. The Big Blacks outhit the Red Devils 16-9, as five PPHS players ended the contest with a multi-hit effort. Brody Jeffers, Richardson and Williams each finished with three safeties apiece, as Joel Beattie and Carter Smith followed with two hits each, respectively. Alec Smith, Kyelar Morrow, Tanner Mitchell and Mayes also had one safety apiece. Richardson and Williams also led PPHS with three runs score each, followed by Carter Smith who scored twice in the contest. Mayes, Jeffers, Mitchell and Morrow also scored once apiece for the hosts. PPHS head coach Andrew Blain was pleased with his team’s performance — particularly in the area of offensive production. The Big Blacks return to the diamond on Friday and Saturday as they travel to compete in the Champmanville Tournament.